Joshua Budich is an independent illustrator working for numerous galleries, including Gallery 1988, Spoke Art and Hero Complex Gallery, movie studios, and media outlets around the globe. Inspired by a love for the pop culture of his youth, his primary focus is on screenprints that celebrate popular movies (Star Trek, Star Wars, The Big Lebowski), television series (Lost, Marvel's Agents of S.H.I.E.L.D. ), animated shows (The Simpsons, My Neighbor Totoro, Akira) and more. Budich graduated from the University of Maryland Baltimore County with a Bachelor of Fine Arts (Imaging and Digital Arts) in 2000. He enjoys cooking with his wife, drawing with his son and reading to his little girl. He lives in the Baltimore/District of Columbia area with his wife and their two children. Perfect size; not too big. Loved the setup of the actors and Enterprise. Great colors. Love how Mr. Spock stands out! 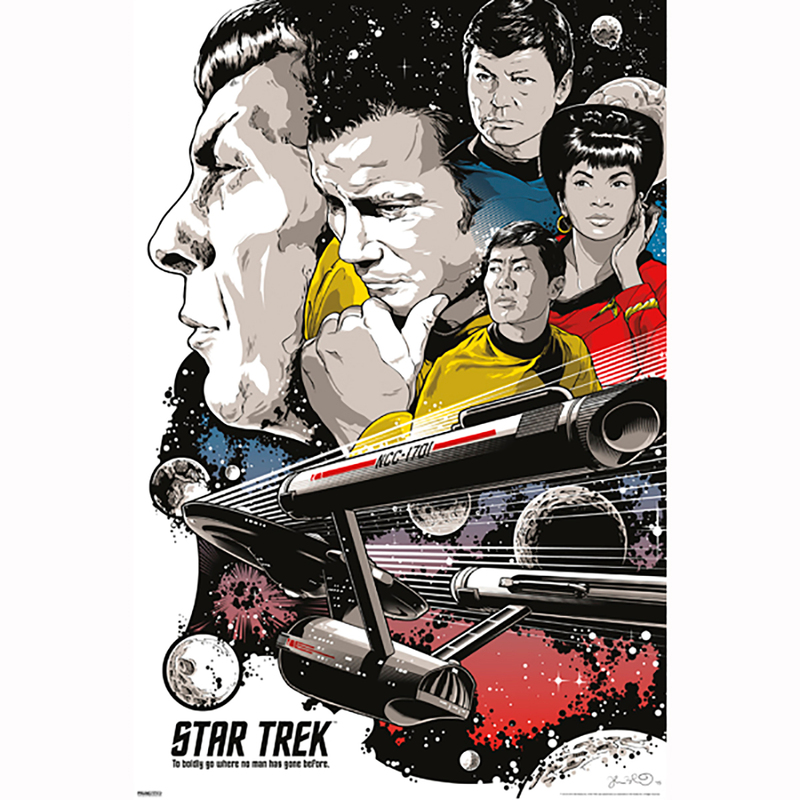 I am planning to present this poster to William Shatner at the Trek convention in Chicago in September for his autograph. I am very much psyched!!!! !